Nik Color Efex Pro 2.0 Software Standard Edition: for Nikon Capture (Version 4.1 ~ 4.4.2) and Nikon Capture NX. Included filters: Brilliance/Warmth, Colorize, Burnt Sienna, Contrast: Color Range, Contrast; Only Darken/Lighten Center, Graduated Blue Flux, Graduated Coffee, Graduated Neutral Density, Graduated Olive, Graduated User Defined, Graduated Orange, Infrared: Thermal Camera, Midnight Blue, Ink Old Photo: Black and White, Midnight Green, Old Photo; Color, Midnight Sepia, Pastel Midnight Violet, Photo Styler; Cool Ice, Monday Morning, Remove Color Cast, Monday Morning Blue, Skylight Filter, Monday Morning Green, Solarization; Black and White, Monday Morning Sepia, Solarization; Color Paper, Toner Sunshine, Polarization, Weird Lines, Pop Art B/W, Conversion, Remove Brightness, Bi-Color: User Defined, Vignette: Classical Soft Focus, Vignette Blur, Color Stylizer. 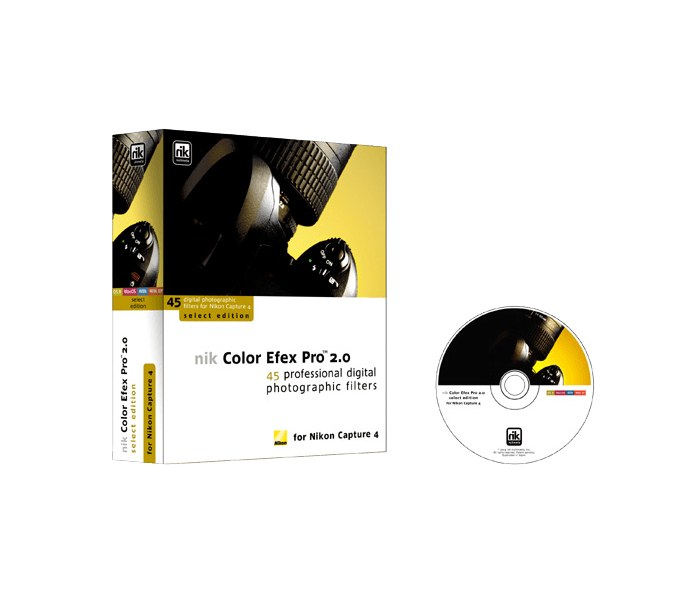 Owners of Nik Color Efex Pro 2.0 for Capture 4 are entitled to a no-charge update for use with Capture NX. Please click "Capture NX Update" on the right to download the update. Please note: a new window will open and you will be taken to a site outside of NikonUSA.com. Please see system requirements for Capture NX for the latest compatibility.